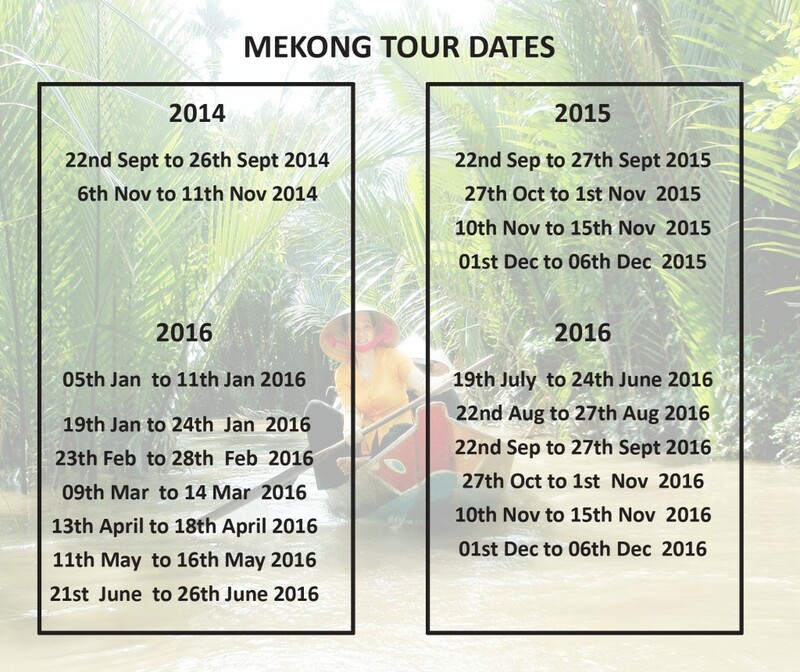 Our adventure into the Mekong Delta departs our South Saigon store and heads off to My Tho city for the first stage of our 5 nights and 6 full riding days, 450km loop through the fabulous Delta. Our route winds it’s way through some of the most inspiring country, inhabited by friendly country folk whom work the land as they have for centuries! Book early as group numbers are limited to a maximum of 9 and a minimum of 6. See our Tour Calendar below for tour dates. Contact us on Saigon Cycles FB page or mai@saigoncycles.com for information about our tours.